Getting a flat tyre when you’re out on the road can make you feel truly helpless. 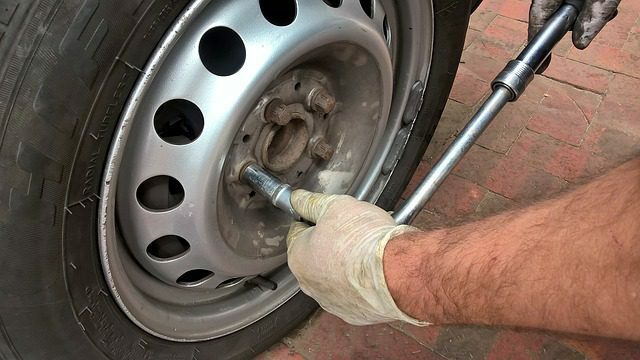 You may have a fantastic set of wheels, plenty of petrol in your tank and the best motor vehicle finance in South Africa… but if you don’t know how to change a tyre it’s a real problem. Never change a tyre on a hill or an incline. The car should be on a flat surface with the handbrake up. Put blocks of wood behind the wheels as an extra precaution. You should keep a small toolkit inside your boot for just this kind of emergency. Use an action like you’re taking the lid off a can of paint. Use a wrench from your toolkit to loosen (not remove) the lug nuts. Put the jack under the edge of the car and follow the instructions in your owner’s manual: you should get the flat to a level of about 15 cm above the ground. Unscrew the lug nuts and put them in a safe place (like inside the wheel cover). Gently but firmly pull the wheel towards you until it slides off the wheel bolts. Wheels are very heavy, so if you’re stranded all alone you may have some trouble. Once the wheel is back in place, tighten the lug nuts by hand. Lower the jack according to your owner’s manual and tighten the lug nuts very securely using a wrench. Put the wheel cover in place and knock it into position with the heel of your hand. Never use a hammer as this can dent and damage your wheel cover. Get roadside assist when you arrange easy vehicle finance with Earn-a-Car! Changing a flat tyre is relatively simple, but it’s far better to know that help is a phone call away if you’re stranded. Roadside assist is just one of the many benefits provided by Earn-a-Car. We offer car finance with bad credit, include accident insurance in your monthly instalment and give you R300 cash back for every payment you make on time! For information on buying a car while blacklisted through Earn-a-Car, contact us today.